There are available 25 different inner diameters and you can choose 3 different cups for each one of them: A is the deepest one, the B is the middle one, while C is the highest one. The standard rim in these mouthpieces is the plane, but the rim can be also made round, standard and even W format (with larger outer diameter). 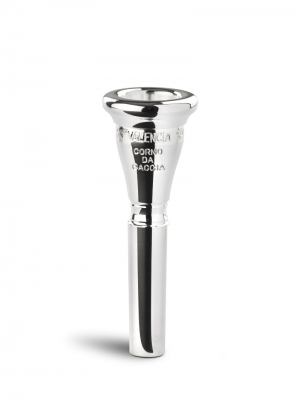 We recommend you consult the STOMVI mouthpieces series chart for Corno da caccia.